Navigate through this interactive audio quest on Amazon Echo with only your voice and wits. The Amazon Echo is literally awesome -- the Amazon AI called Alexa provides intuitive user experience with voice as the only input. We love working with new technologies and this was a great way to learn more about the capabilities of Alexa. 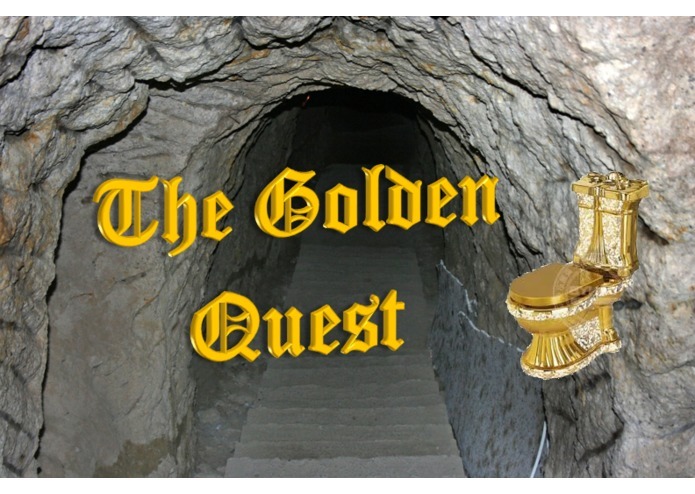 The Golden Quest is a voice-only, interactive Choose Your Own Adventure game. You play as the main character, a hackathon member embarking on a desperate search. Alexa reads out the story and choices to the player. Its intuitiveness and ease of use means anyone can play -- all you need to do is say "Alexa, open the Golden Quest". We used TypeScript and Amazon's alexa-sdk package for Node.js To represent the branching paths of the story, we created a custom text format and wrote a parser to convert the text into story objects. Our parser was later modified to auto-generate the schema files for Alexa. Once we deployed the game on Echo, some of the story lines did not sound natural when spoken by Alexa. We use the Amazon Alexa voice simulator to repeat the lines and edit them. Through user feedback from asking students and mentors to play test, we refined the user experience and game play options. Some improvements based on feedback: wording choices that allowed for more distributed game paths, creating a generalizable character story, expand user input beyond basic gameplay such as "Cancel", "Repeat", "Start Over" etc. We learned how to create, test and deploy an Alexa Skill with no prior experience. We learned how to work with the Alexa SDK, AWS lambda functions, and Alexa Developer to create a game. We gained experience with functional programming modelling, TypeScript and Node.js. The Golden Quest is a self-contained game, but we believe in the potential to be much greater. Alexa is an AI that learns. Our game creates a personal experience for the user, with voice as the only input. However, with the possibilities of machine learning, the game can become unique to the user experience. Sentiment-based player choices informs the AI of certain game paths and customizes the game with existing information. The Golden Quest can also be expanded to contain multiple storylines with educational opportunities. It can be simplified for younger players or made more complex for language learning and retention.